Several of Tidewater Community College’s automotive programs have been reaccredited by the National Automotive Technician’s Education Foundation (NATEF) through 2021. In addition, TCC’s Diesel program earned accreditation for the first time. NATEF’s accreditation process is designed for Diesel, Automotive and Collision Repair programs. Representatives evaluate each school’s structure, processes, resources, materials and mission. They also perform a thorough, strategic review of each program to ensure it meets the industry’s highest instructional standards. The accreditation process included a self-evaluation, NATEF review and an on-site visit. 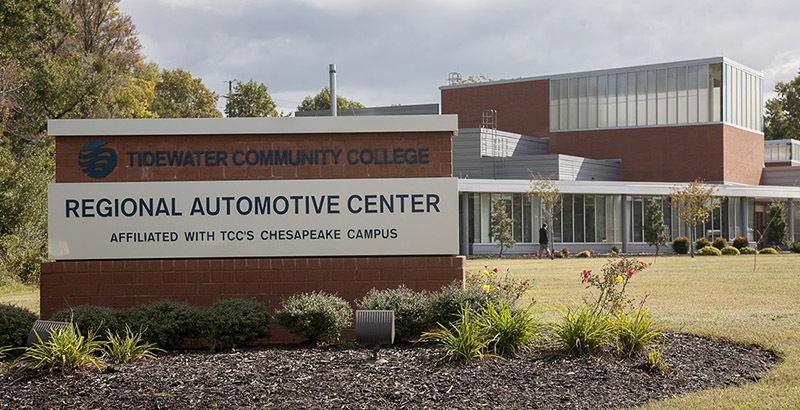 TCC, which is the lone college in the state to offer an Associate of Applied Science in Diesel Technology, has the only fully accredited post-secondary program in Virginia. The college’s general automotive, Honda PACT, Mopar CAP and Toyota T-TEN have been reaccredited through 2021. TCC offers four accredited training programs specific for automotive manufacturers, enabling students to train on specific brands ranging from Honda to Chrysler to Toyota and Ford. Also, the college’s Marine program has been named an American Boat and Yacht Council Marine League School, one of nine programs in the country to reach this standing. The ABYC develops volunteer global safety standards for the design, construction, maintenance and repair of recreational boats. Today, 90 percent of boats on the water are built to ABYC standards. The Marine program also entered an outboard engine training agreement with Yamaha Motor USA. Students in the program train on Yamaha engines and follow the industry-designed curriculum. Once students complete the certificate, they are well prepared to work in dealerships and repair shops. The center also offers the Ford ASSET program and is an authorized Volvo Penta gasoline and diesel training center. In addition, collision repair training is provided in refinishing and nonstructural repair, both of which include I-CAR certifications. The RAC is Hampton Roads’ only high-tech educational facility for the automotive, marine and diesel industries. All classes are held in the 30,000-square-foot facility, which offers affordable and convenient training at the forefront of industry trends and standards.